Here are some common guidelines that are not followed by parents and should be. I have provided the AAP recommendation and an explanation as to why it is recommended. I have also provided real life tragedies as a result of not following the AAP's guidelines to show that these deaths could have been prevented if the caregivers had chosen to follow the sleep safety recommendations placed by the AAP. There are many more tragic stories out there than the ones I have listed here, but this shows you that infant deaths do happen due to poor sleep environments. Your mom, your grandma, your great grandma and so on, may have broken all of these rules and you turned out fine, but that does not necessarily mean your child will, as these heartbroken parents tragically discovered. However, as a parent, it is ultimately up to you to make decisions that you feel are best for your child. 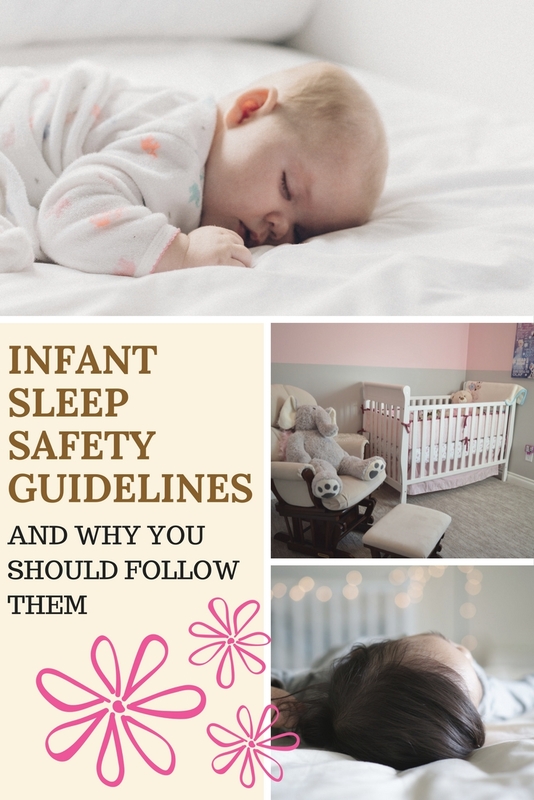 Just be aware that there are risks to not following the infant sleep safety guidelines, and be prepared to accept the tragic consequences of those risks should it happen to you. Many of these parents live with guilt for the rest of their lives because they know what they could have done to prevent their baby's death. Some are also facing criminal charges, most of which are daycare workers who are required to follow the AAP sleep safety regulations. Always put your baby down on his or her back. "The single most effective action that parents and caregivers can take to lower a baby's risk of SIDS is to place the baby to sleep on his or her back for naps and at night. Compared with back sleeping, stomach sleeping carries between 1.7 and 12.9 times the risk of SIDS." (source). Once your baby can start rolling on their own, it is okay to let them sleep on their stomach, if and only if they got there on their own. 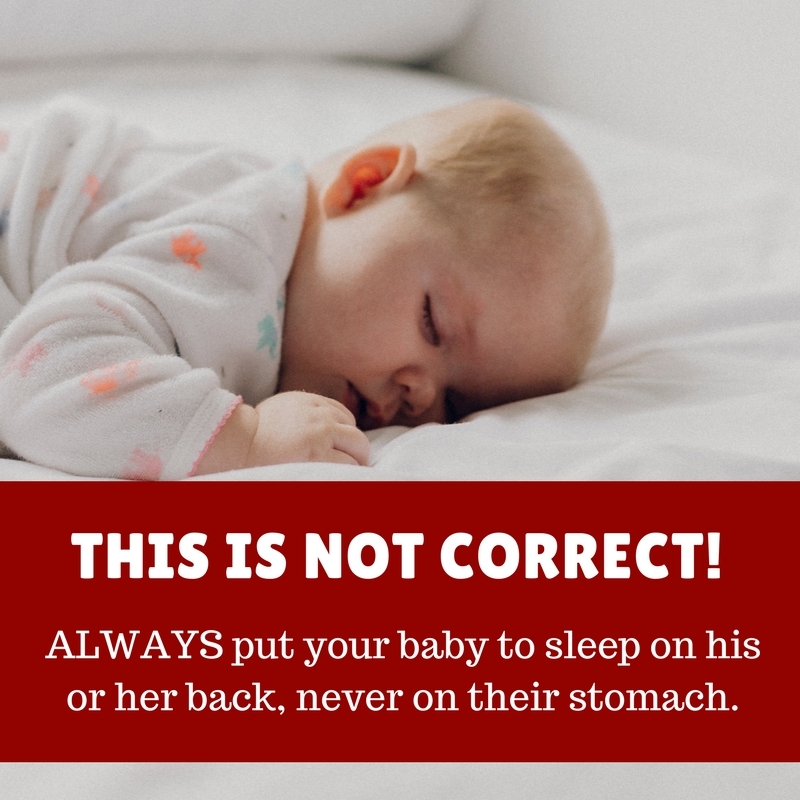 You do not need to roll them back onto their back, this will likely risk waking them and then you will have a crabby baby! 25-year-old Candice Christa Semidey lost her baby due to poor sleep environment, including laying him down on his stomach (source). Beverly Ann Greenagel was in charge of a daycare and had killed a 3-month-old baby boy by placing him down on his tummy for a nap (source). A 3-month-old baby girl, Addy, died due to being put down on her tummy by a daycare worker (source). Sebastian died due to being put on his tummy to sleep (source). 2-month-old Joey died due to being put on his tummy to sleep by a daycare worker (source). 3½-month-old baby girl, Lucy, died due to a daycare provider putting her to sleep on her stomach (source). 3-month-old McKenna died after being put to nap on her stomach at daycare (source). 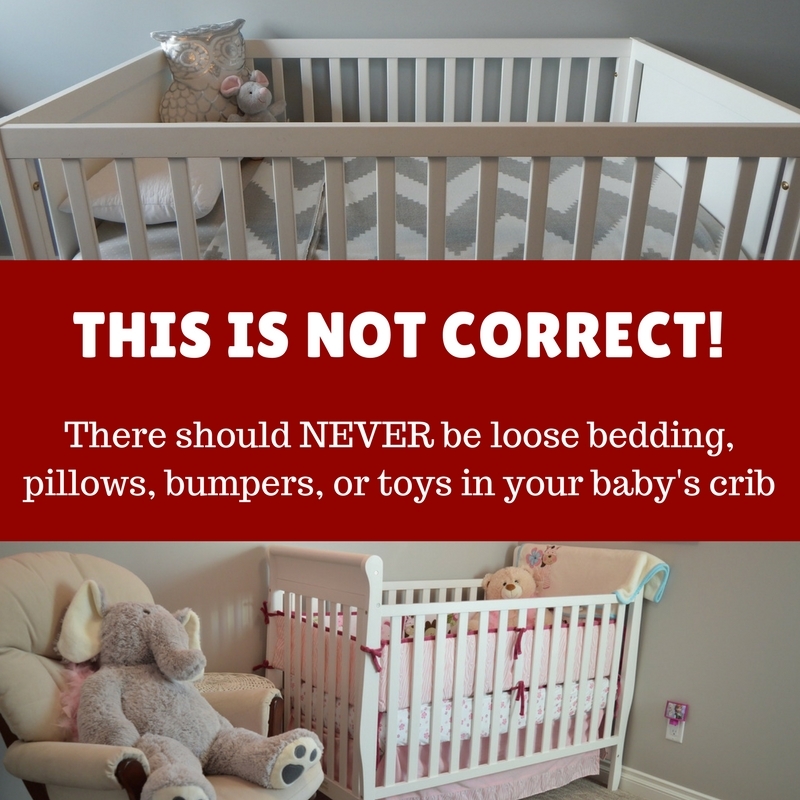 The AAP recommends: "Keep soft objects or loose bedding out of the crib. 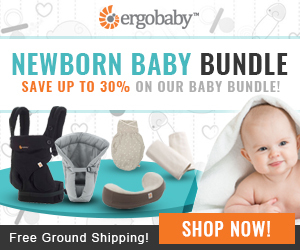 This includes pillows, blankets, and bumper pads." Babies can get trapped in these bedding items and suffocate. Even a "breathable" bumper is not recommended as a baby could still get trapped or tangled in them. You may think a crocheted or knitted blanket may be safe because it has holes, but it is not as a baby can still get tangled and trapped in it. Jordan DeRosier recently lost her 7-month-old son, Sloan, due to putting him to bed with a blanket (source). Sloan had gotten himself trapped in a gray blanket while sleeping in his crib. In her heart-wrenching Facebook note, she warns others to not put their baby to bed with blankets. 7-month-old Owen died due to having a weighted blanket placed on him (source). 5-month-old Eve died due to being put to sleep in a portable crib with loose bedding by a daycare worker (source). 6 babies died due to improper bedding (source). From 2006-2012, 23 babies died due to crib bumpers (source). 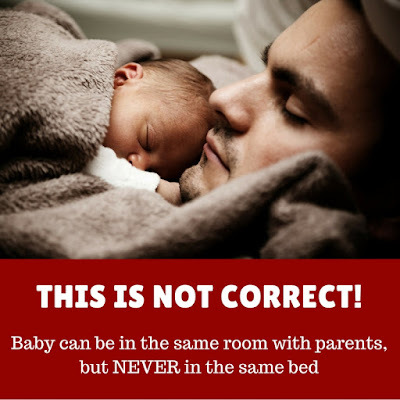 The AAP recommends: "The baby should sleep in the same room as the parents, but not in the same bed (room-sharing without bed-sharing)" (source). Room-sharing is recommended because it keeps the baby near you so you can hear better and react quicker. They recommend this for at least the first 6 months, but encourage to go the full first year. You can use a safety-approved bassinet or pack n play, or if you have a big enough room, you can set up the baby's crib in your room. 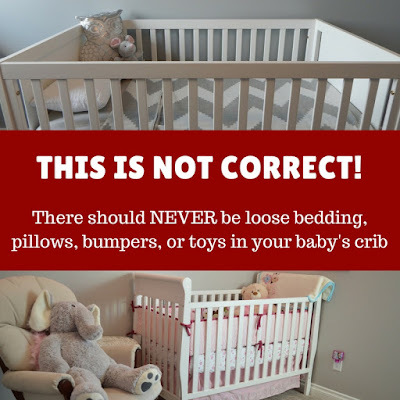 Bed sharing is not recommended as babies can get trapped under pillows, blankets, and in some cases, crushed by their parents. Bed sharing is a hot topic and a lot of people, especially breastfeeding mothers, still do it to this day due to convenience. Some women believe that breastfeeding mothers have "instincts" and are so in tune with their babies and their bodies, that bed sharing is totally fine. I, personally, believe that there is no such thing as safe bed sharing. Besides the amazing ability to be able to provide food for her baby, I do not believe that breastfeeding gives women any special "sleeping" or "waking" abilities, as you will see in some of the stories listed below, some mothers lost their babies due to breastfeeding in bed because, guess what, like normal human beings, they got tired and fell asleep, only to wake up to find their baby dead. Scarlett Moore died at 4 days old due to bed sharing (source). Erin Piche-Pitts had two babies die due to bed sharing (source). A 10-week old baby died due to bed sharing (source). A 3-week old baby died due to bed sharing (source). A 2-month-old baby girl died due to bed sharing (source). A newborn baby boy died due to bed sharing (source). Vanessa Clark lost 2 babies due to bed sharing (source). Ayla died while bed sharing with her parents (source). 2-month-old Kourtny Williams died due to bed sharing, mom rolled on top of her (source). 3-month-old Jernard Moore died due to bed sharing, mom rolled on top of him (source). Anayah-Lynn Howard died due to bed sharing, suspected mom rolled on top of her (source). 4-month-old Urijah Murray died after he got tangled beneath the legs of an older sibling he was sleeping next to (source). A 36-day-old infant was found dead after sleeping with her parents (source). An infant died due to sleeping with its mother (source). 15 babies died while sleeping with adults (source). Willow Beeley died due to being rolled on top of by an adult (source). 17 babies died due to bed sharing (source). Ben died while sleeping next to his mother in bed (source). A 2-month-old baby died due to bed sharing (source). John Thomas Michael Abernathy died due to bed sharing. His mother was breastfeeding him (source). Deleilah Woodford died due to bed sharing, her mother breastfed her in bed (source). A baby boy died due to bed sharing (source). A 25-day-old baby girl died while mom was breastfeeding in bed (source). 3-month-old Aleigha Celerino-Garcia died due to bed sharing (source). A 7-Week-Old Girl died in Long Island due to bed sharing (source). To prevent SUID, the AAP recommends: "Always use a firm sleep surface. Car seats and other sitting devices are not recommended for routine sleep." (source). Charlie died at 3-weeks-old due to sleeping on his dad's chest (source). Grace Roseman died when she managed to get her head over a half-lowered side of a Bednest. All sides should have been up to meet safety regulations and Bednest has since changed their product so sides can no longer be lowered (source). A 4-month-old died while sleeping on its stomach on an adult's lap (source). "A 6-month-old baby girl died after her mother fell asleep with her on a couch" (source). An 11-month-old boy died due to rolling off a couch (source). 5 babies died due to sleeping on a couch, 4 were sleeping with an adult (source). Here is what a safe sleep environment should look like. Please note that many of the cases above are not considered SIDS. SIDS "is the sudden, unexplained death of a baby younger than 1 year of age that doesn’t have a known cause even after a complete investigation" (source). The cause is known for many of these deaths, often suffocation, and thus fall into the larger category of SUID. 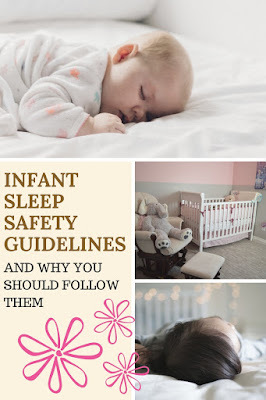 SIDS is not 100% preventable, but there are ways to lessen the risk, which you can find here, while many of these deaths could have been prevented if parents had chosen a safe sleep environment. The Scientific Parent - Crib Notes: Is Cosleeping Really Unsafe? It's very important to follow these guidelines. I can't imagine losing either of my small kids. I don't understand how they still sell those thick and fluffy bumpers! I know right? They come with like every bedding set, so parents who don't know the sleep safety recommendations think they are okay. Bumpers should be banned! No idea why they are still floating around! The fluffy bumpers are banned in my state. You can only buy the mesh ones. Thanks for sharing! Such a tragedy to lose a baby! It is so scary to hear stories of babies who died because of parents not following guidelines. I am always so paranoid about it! Thank you for sharing! Not enough people are taking this conversation as serious. It scares the crap out of me. I'm always super paranoid about my son's sleep. While i do agree that that breastfeeding doesn't give supwr instincts, i do think safe bed sharing is a definite possibility. Most of the same rules apply and there is also a need for a bigger bed. In the beginning it was just my boy and I on our king bed. And i d feed him and move away. No blankets pillows etc. And obviosly no alcohol and if i ve had a particularly tiring day, the husband checks on us more often. I think it is essential that parents are given all information so that they can make a decision that best suits their family. As I stated, it is totally up to the parents, but the risk is there. In my opinion, don't think a bigger bed would help if you move around a lot in your sleep (as you see some parents rolled on top of their child), and also another issue with beds in general is the baby could roll off (if a baby can die rolling off a couch, the same applies to a bed). Another thing is beds made for adults are often not as firm as a crib mattress, so if your baby rolls onto their tummy, they can get stuck and suffocate that way too. Again, it is your decision, just know the risk is there. OMG.. its really scary to know all these stories & I feel bad for every parent . Great that you shared these sleep guidelines which most of us just take casually. I respect the recommendations here, however, I would wonder if those statistics are at all skewed, as study after study continues to show that the majority of babies co-sleep with their mother at least part of the time. This is especially true in the breastfeeding community. I wonder if a study has been done to show incidence of SIDS in each particular subset? For example, what is the total risk of SIDS death for a co-sleeping child, as a percentage of all co-sleepers? I would suspect that the number is the same or lower than babies who are sleeping in a crib in another room. Just want to clarify that co-sleeping is fine, as long as you aren't sharing a sleep surface. It is bed-sharing that is dangerous. Here is what a study found: "To find the answer, they examined more than 8,000 infant deaths from sleep-related causes from 24 states for the period from 2004 to 2012. Almost 70 percent of the deaths occurred in babies who were sharing a bed at the time of their death, the study found. An object, such as a blanket or a pillow, was found in babies' beds in about one-third of the deaths. This is such important information! Thanks so much for sharing! 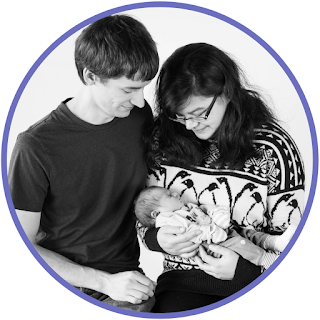 I was super scared when I first bought my little one home, because of the commonality of SIDS. This definitely helps prevent the risks. amazing info and so easy to read through. thank you for sharing. Sleep was so nerve racking for me when we first brought our little boy home. This post is a very good and extensively explained about safety while baby asleep. I must say my both kids co sleep with me and the points you shared here I followed almost all of them. I am sure this post will help many new Moms. I respect your opinion but it is perfectly safe for a baby to roll onto their belly at night. A parent cannot be expected to constantly roll their child back over and, as a result, interrupt their sleep cycles, simply because they rolled over. If you read my post I clearly said: "Once your baby can start rolling on their own, it is okay to let them sleep on their stomach, if and only if they got there on their own. You do not need to roll them back onto their back, this will likely risk waking them and then you will have a crabby baby!" The AAP just recommends to put them down on their back, only if they roll onto their belly on their own is it okay. Thank you for writing about this very important topic! My twins both started rolling to their belly's really early. My mom was freaked out and said "shouldn't you do something to prevent that?" Lol. Sure mom, I'll have a chat with her and tell her to stop rolling over, lol! Our girl was an early roller too, she loved tummy time and figured out how to get there on her own at 3 months! We were concerned, but our pediatrician said it was totally fine just as long as they can do it on their own. Some babies just learn faster than others, but yes, no need to place them back on their back once they start rolling! 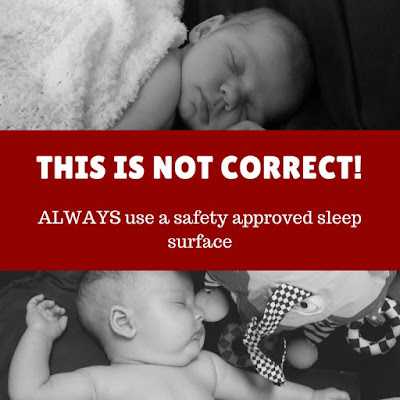 It's very important for people to know infant sleep safety. Thanks for sharing! I think it's great that people inform themselves of the reasons these CAN pose a threat. However the AAP designs these guidelines for the masses. There are so many factors that go into these statistics that are left out. Like drugs/alcohol, if they are breastfeeding, low income, foreign to USA, etc.. We've not followed multiple guidelines and my girls were never in danger. But, I know what to look for and how to prevent these things posing a threat because I made sure to inform myself. My point is, not to judge fellow mama's on how they mother as long as they are informed. Thank you for posting so other mamas are now informed too! I successfully sleep trained my both kids with "How to teach a baby to fall asleep alone" guide by Susan Urban ( www.parental-love.com ). The guide is just GREAT! 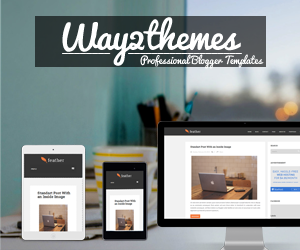 Step by step instructions, the method is easy and fast. I thought that sleep training is a long process and apparently I was wrong. With both my girls it took me 3 or 4 days to make them to fall asleep alone in their cribs. Sleep training with this guide made such a difference for me and my babies! I can really recommend it to other parents! Our baby girl was able to sleep on her own the day after she was born. We just made it a habit to put her down after she fell asleep in our arms. We never had any issues. Every baby is different, of course, but I feel some parents fall into the "cuddling" groove because they are so cute and you just want to hold them, but holding them all the time makes it harder for them to sleep on their own.